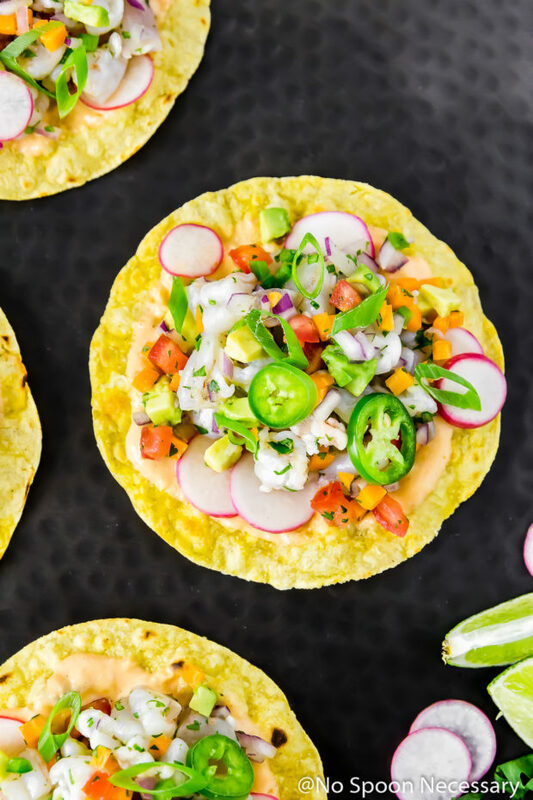 Crispy tostadas slathered with creamy Baja sauce and topped with refreshing, tart ceviche packed with plump shrimp and fresh veggies. 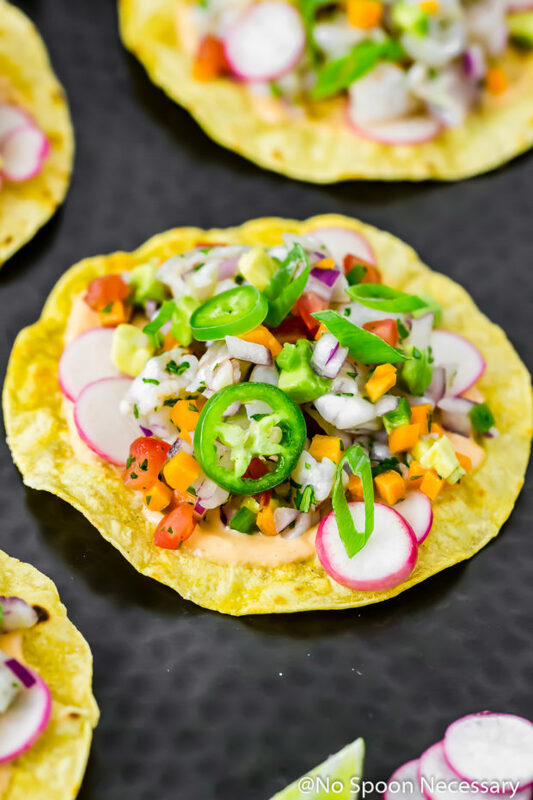 These Baja Shrimp Ceviche Tostadas are fresh, fabulous and perfect for your Cinco de Mayo, Spring or Summer soirees! This post was originally published in May 2016. I edited the photos and changed some of the written post below to include more information. Plus, I added a RECIPE VIDEO to show you how easy this is to make! Hi friends! How was your weekend? I seriously hope it was better than mine. Please tell me you got outdoors or did something fun so I can live vicariously through you. 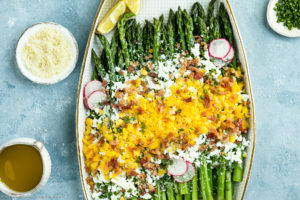 I’m going to be forthright, I almost hit publish on this post with just pictures and the recipe, because I wasn’t sure my brain would let me form comprehensive sentences. So please forgive me for keeping this short today. These tostadas are the jam, my friends. 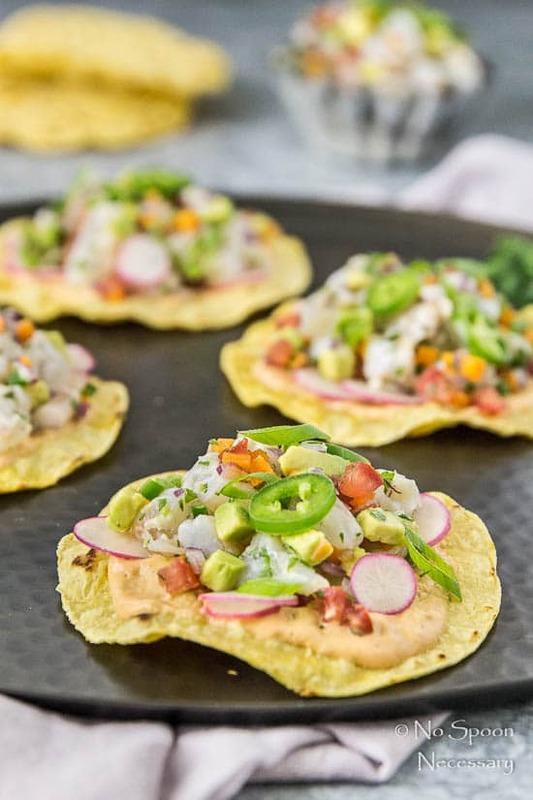 A mix of fresh shrimp ceviche, smooth Baja sauce and crisp tortilla shells, these tostadas are a Mexican party for your taste buds. The ceviche is refreshing, citrusy, tart, herbaceous and packed with juicy, plump shrimp. The accompanying Baja sauce is spicy, smoky, smooth and every drop creamy-dreamy. And, it also happens to be one of my favorite sauces of all time, so I use it on almost everything. 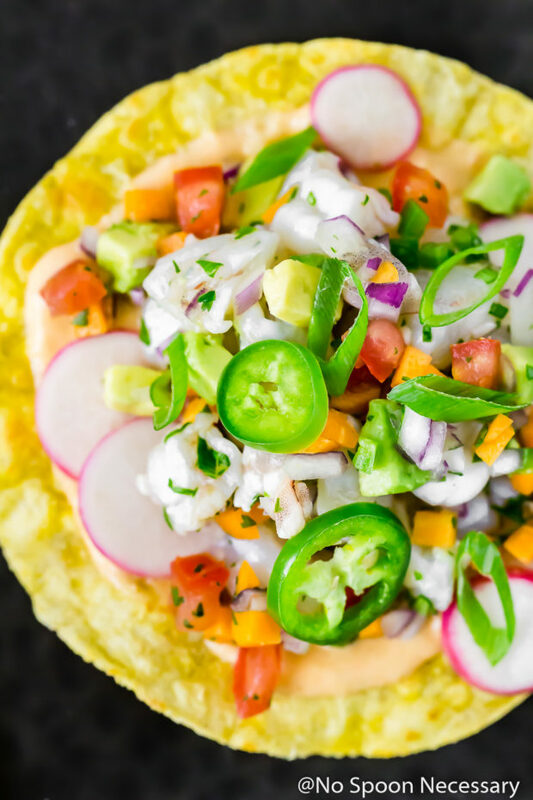 All that ceviche and sauce fabulosity is piled high on salty, crunchy corn tortillas and garnished with thinly sliced radishes, creamy avocado, and mild scallions. Trust and believe the word olé will be dancing around on your tongue! 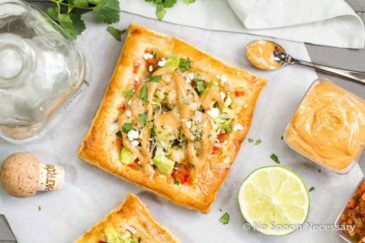 These tostadas are not only extremely scrumptious, they are also ridiculously quick and easy since no real cooking is required. Chop, lock and drop some shrimp and veggies in a bit of lime juice and voilà – magically cooked, fresh and fabulous shrimp ceviche. 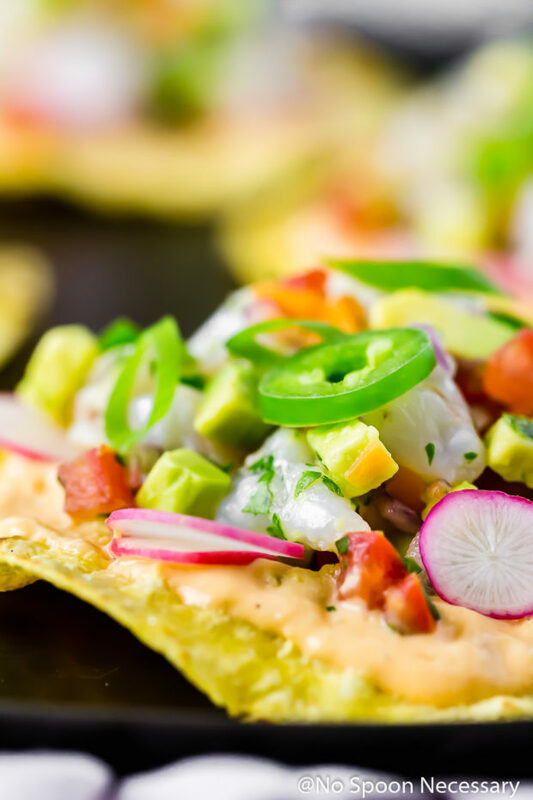 Throw that deliciousness on a few crisp tostadas slathered with flavorful Baja sauce and sprinkle on the garnishes. Tasty tostadas for your munchin’-on-all-the-things-Cinco de Mayo mouth. Don’t like shrimp or maybe you are allergic to shellfish? No worries! 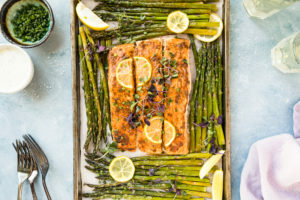 You can substitute any semi-firm, white fish such as grouper or sea bass, just make sure you purchase the freshest fish possible. 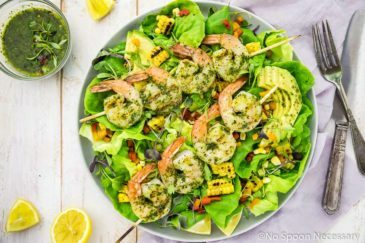 You can prepare all the ingredients for the ceviche in advance, but do not combine the shrimp with the lime juice until you are ready to eat it. Since the lime juice will cook the shrimp, after about an hour the shrimp will be overcooked. And any longer than that, the shrimp will be completely chewy and dry. 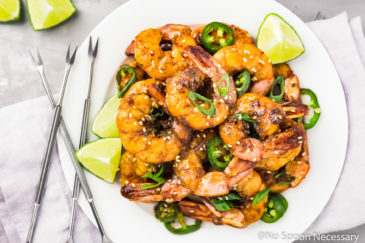 So make sure you don’t marinate the shrimp in the lime juice until you are about 30 minutes away from wanting to eat it! The amount of vegetables and garnishes listed in the ceviche is a guideline. I encourage you to add these to taste. If you really like things spicy, add more jalapenos and leave in the seeds. If you like a lot of bite from red onion, increase the amount of finely chopped onion. Cilantro your thing? Use a handful instead of only a couple tablespoons. Do you, my friends. 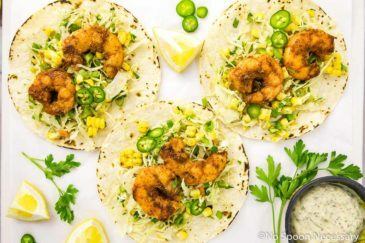 Add these tasty Baja Shrimp Ceviche Tostadas to your Cinco de Mayo menu or make them next time you are craving fresh flavors – I pinkie promise you guys are going to love them! Until next time friends – Cheers, to simply scrumptious ceviche. 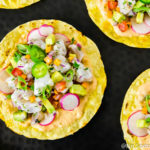 Crispy tostadas slathered with creamy Baja sauce and topped with refreshing, tart ceviche packed with plump shrimp - these Baja Shrimp Ceviche Tostadas are fresh, fabulous and perfect for your Cinco de Mayo soiree! Make the Ceviche: In a large, non-reactive bowl, combine shrimp and lime juice. Transfer to the refrigerator and allow to marinate and “cook” for 20-25 minutes. Drain, reserving ¼ cup of lime juice. Add remaining ceviche ingredients and reserved lime juice. Season to taste with salt and pepper. Toss gently to combine. Transfer back to refrigerator for an additional 10-15 minutes. To Serve: Spread a thin layer of Baja Sauce on each tostada. Top with radishes and ceviche. 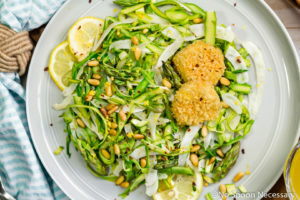 Garnish with scallions and avocado. Enjoy! *Baja sauce is best if the flavors are allowed to marry for at least 3 hours in the refrigerator. Sauce will keep up to 5 days, covered, in the refrigerator. Deep Fry: Add enough canola oil to a 6 quart saucepan to come up 2’’ from the bottom of pot. Heat over medium-high until a thermometer reaches 350 degrees F. Working in batches, fry (6’’) corn tortillas until crisp, about 1 minute each. Transfer to a paper towel lined plate, season with salt and allow to drain. Bake: Preheat oven to 400 degrees. Place tortillas in a single layer on a baking sheet lined with aluminum foil. 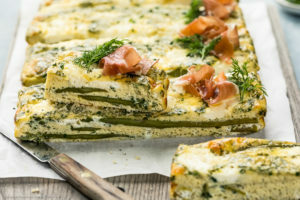 Bake, flipping over halfway through, for 5-7 minutes or until crisp. *Nutritional Information includes everything except tortillas/tostadas. 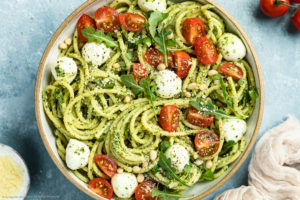 Great summer recipe! 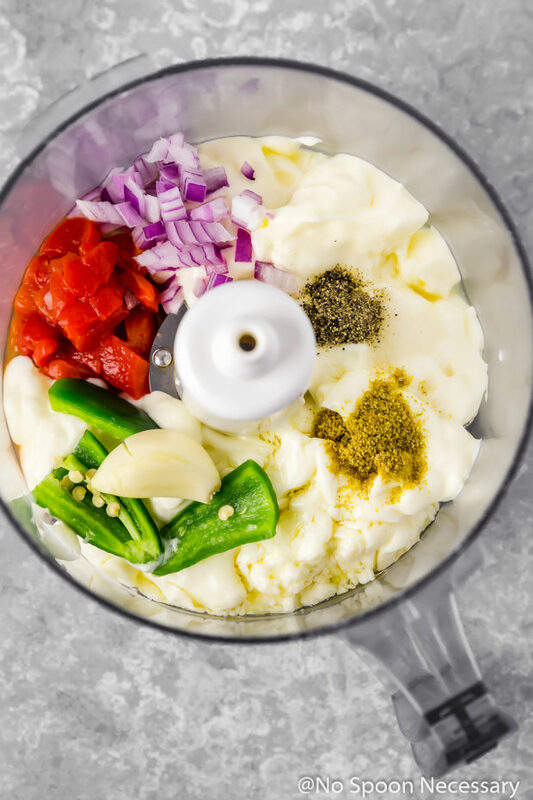 I love ceviche – it’s my go to when the weather gets hot. But I must admit I usually go somewhere to get it. Perhaps this year I will make it. This sounds like an awesome recipe! Yes please to tostadas and to ceviche! These sound delicious and they’re so colorful too; your pics are making me absolutely famished. Have a great week, my dear! You know I’m loving this ceviche recipe Chey! Perfect for my summer entertaining. 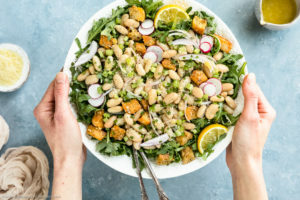 Packed with flavor and nice and easy too. A total win win!